The rolling hills and golden beaches attract millions of visitors to San Sebastian each year. While most people visit the resort city for the sprawling beachline, there are many things to do in San Sebastian besides swimming. Located on the coast of the Bay of Biscay, the area is considered one of the top travel destinations in Spain for food lovers. World-renowned restaurants are found throughout the bayfront promenade and the winding streets of the older parts of the city. If you don’t know what to do in San Sebastian, start at the beach. While the city has much to offer, the top attractions are near the marina and surrounding popular beaches. 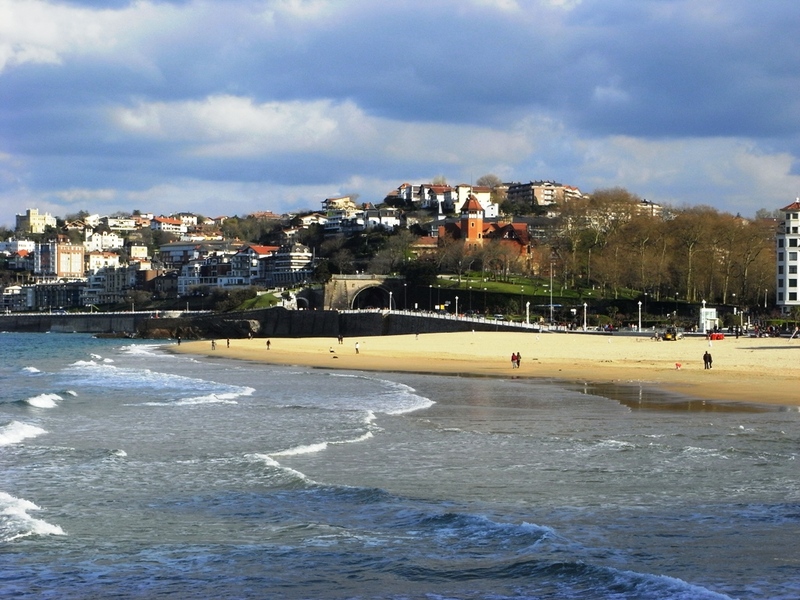 Even if you only have one day in San Sebastian, experiencing its seaside pleasures is a must! Playa de la Concha is the biggest city beach in the area and considered one of the best in Europe. If the sands are too crowded, walk further west along the shore to neighbouring Playa de Ondarreta. Both beaches are well maintained, offering expansive stretches of sand and clear blue waters. Even if the beaches are a little crowded, you can hit the open water. The area offers numerous activities, especially during peak tourist seasons. Go paragliding, windsurfing, jet skiing, or snorkelling. 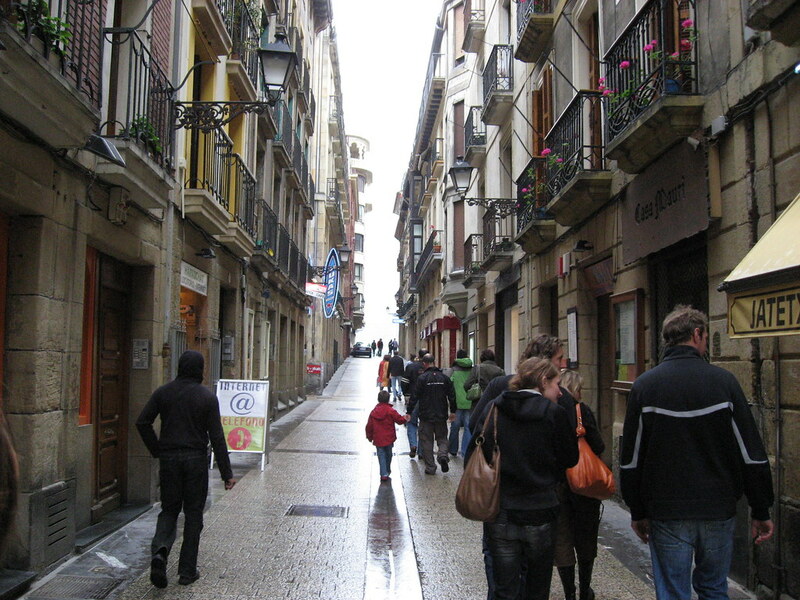 If you want to know where to go in San Sebastian for the best food, start walking the old streets of Parte Vieja. This part of the city is called Old Town, containing the oldest establishments and narrowest paths and alleyways. San Sebastian is a food-lovers paradise and Old Town is where you’ll find the best-reviewed restaurants. You can enjoy fresh, authentic San Sebastian cuisine or innovative dishes from renowned chefs. Hopefully, you like seafood. As this is a coastal city, many dishes centre around the latest catches. The area is also known for its pintxos bars. Similar to tapas, these small appetizers are often served at bars with alcoholic beverages. The mouth-watering finger foods typically consist of bread topped with oven-melted cheese and other ingredients. In the centre of Parte Vieja is the main public square. Constitution Plaza is often one of the first places that tourists go when exploring Old Town. It offers a central spot to orient yourself before venturing further out. It’s also a great place to find a refreshing beverage after spending a few hours sightseeing. The square is lined with numerous cafes with their own terraces and indoor bars. While these cafes charge an extra fee to sit out on the terrace, you get to enjoy the outdoor air and watch people come and go through the crowded square. 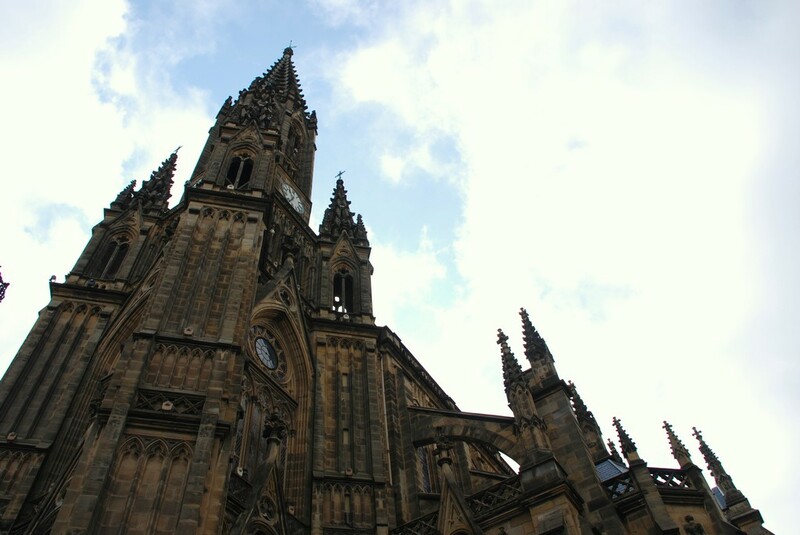 For history buffs, there are several important San Sebastian points of interest to visit, including San Sebastian Cathedral. While it’s not an ancient structure, it’s a great example of neo-gothic architecture. The façade consists of detailed reliefs, ornamental gargoyles, pinnacles, and a tall, slender tower. You can see the top of the 245-foot-tall tower from most points in the city; think of it as your compass while you explore the streets of San Sebastian. The narrow street facing the front of the cathedral is also a fun destination of its own. It’s lined with outdoor cafes, shops, and restaurants, allowing you to fulfil all your touristy needs in one stop. Grab some food, buy souvenirs, and explore an old cathedral without leaving the block. 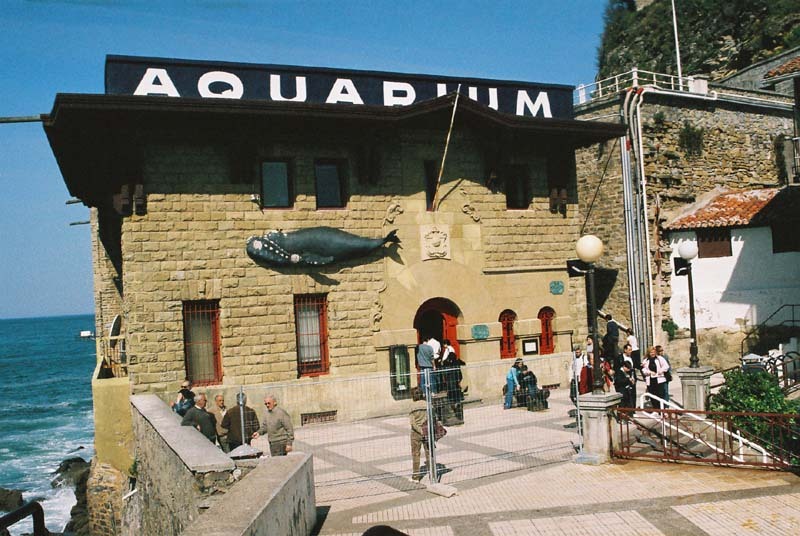 The city’s aquarium belongs near the top of the list of things to see in San Sebastian. It’s more than just an aquarium. It also provides a look at the maritime history of the city. The tour starts on the top floor of the aquarium with various exhibits containing maritime and whaling artifacts and model ships. The descriptions are all written in English and provide helpful info about each exhibit. Working your way to the lower floors, you’ll start to reach the aquarium tanks containing a wide range of marine life. The tanks contain thousands of specimens for you watch swim by, including stingrays, sharks, schools of colourful fish, and even sardines. The large city park is one of the best places to visit in San Sebastian for both tourists and locals. People flock to the carefully manicured lawns of Cristina Enea park for the relaxing atmosphere and variety of wildlife. As you stroll the wooded paths past massive red sequoias and Lebanese cedar, you’ll eventually come to big open lawns. Along the way, you’ll likely cross paths with peacocks, ducks, and other small animals. The park offers lots of shade on sunny days and a shortcut when travelling between various points in the city. While it’s a popular destination, the scale of the park and the seclusion of the trees help give you a break from crowds and noisy traffic. With a panoramic view of la Concha and parts of the city, the top of Monte Urgull is the best San Sebastian sightseeing lookout point. The 404-foot hill is near the eastern edge of La Concha Bay. A combination of cobblestone paths and unpaved terrain take you up the hill. While the hike isn’t too difficult, it may be a problem for those with mobility issues. Hiking your way up the paths, you’re surrounded by lush greenery and thick vegetation, which eventually give way to sweeping views of the bay. When you get to the top, there’s a little museum and spot to rest before making the descent back to the city. Pensión Régil: A superb choice for those on a budget, this small city centre guesthouse features simple, no-frills value-laden rooms steps from La Concha. Room Mate Gorka: A lovely mid-range hotel that’s perfectly located just outside the main attractions of Old Town for your sightseeing pleasure. Rooms are modern & elegant with some of the higher-end rooms featuring private balconies with views over the city. Akelarre – Relais & Chateaux: If you’re okay with something a little less central, this luxury hotel will blow you away with its delightful rooms and breathtaking seaviews. Foodies will feel a little extra love here with the on-site 3-Michelin-star restaurant.